This bracelet is an easy to wear adjustable braided design made of blue nylon cord and silver metal beads. 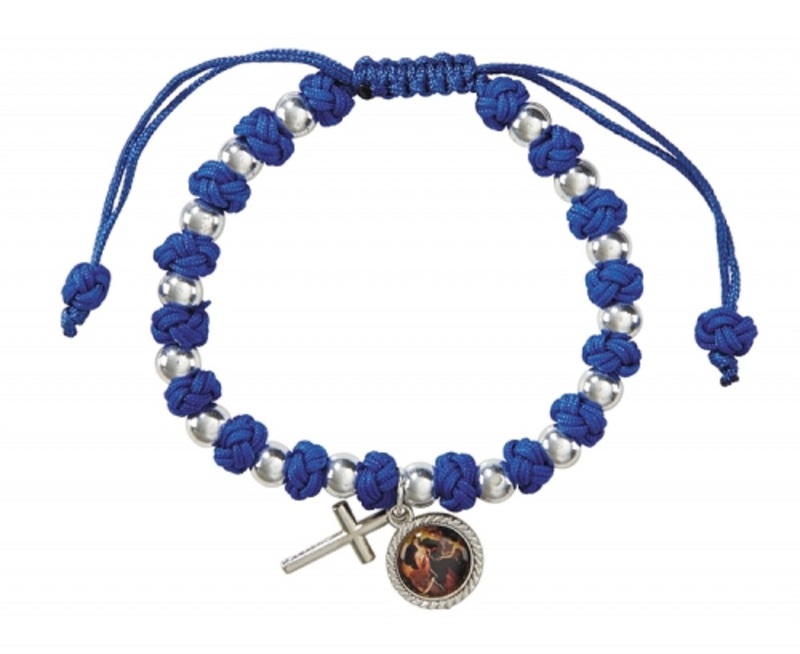 Can be worn alone or stacked with other bracelets, this inspired design with a silver-plated cross and medal portraying the Blessed Virgin, holding a knotted rope surrounded by two angels. It is perfect for prayer or meditation and makes a great gift for youth and young adults.